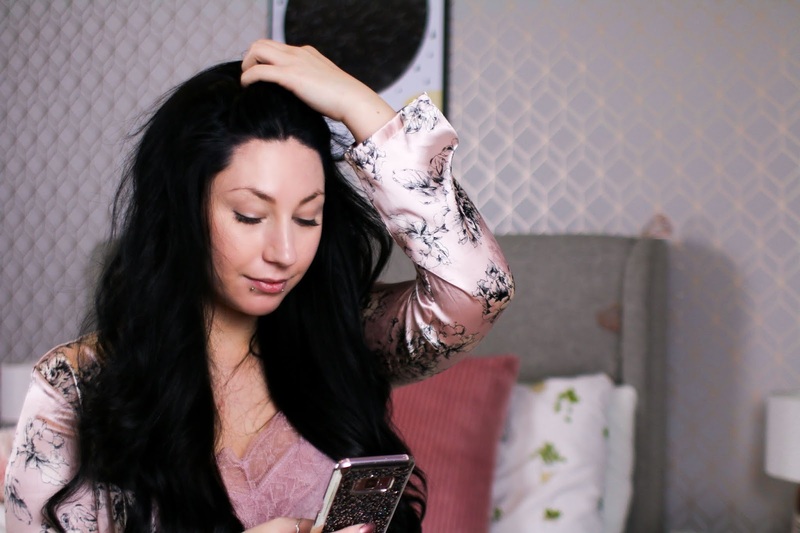 I don't know about you but I just love getting addicted to new games on my phone, it makes commuting anywhere a whole lot easier as I get my attention onto something else other than the fact I could have a full blown anxiety attack on the middle of a bus or train. 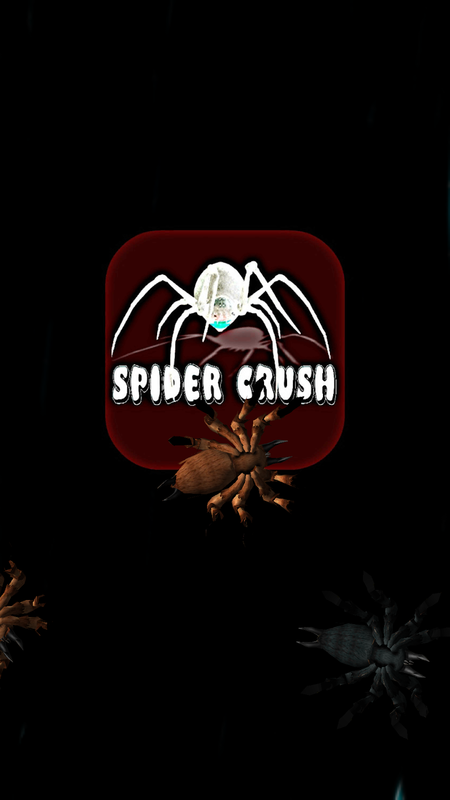 Games tend to really draw me in and get addicted, if I love it enough I'll be playing it everywhere from my bed to my bath, I just can't put them down so today I am here to tell you all about Spider Crush Forage and my thoughts on this creepy little game. 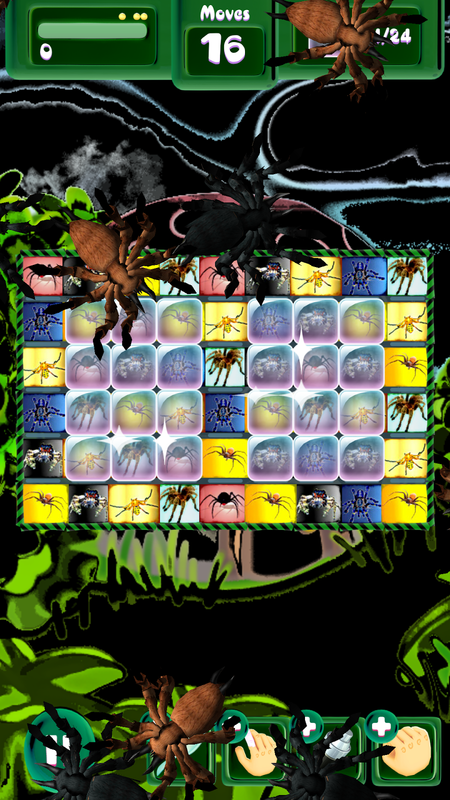 If you like spiders then you are in for a treat, this game is jam packed with them, from them running around your screen to having to match them 3 or more, there are spiders EVERYWHERE. 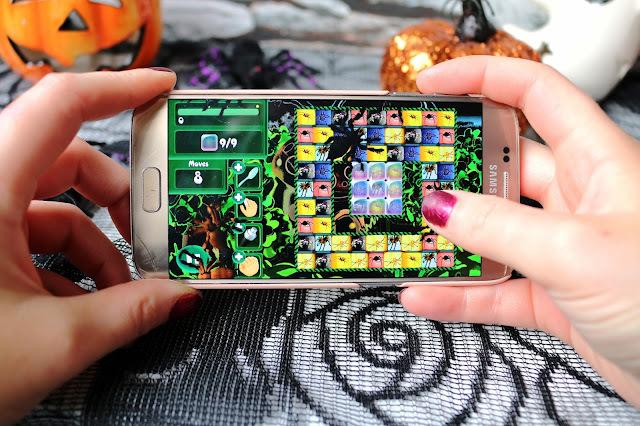 Just in time for Halloween this game is perfect for giving you chills as you try to break all the ice and you have a certain amount of moves each level to do so. With the voice over it really does remind me of soda crush! 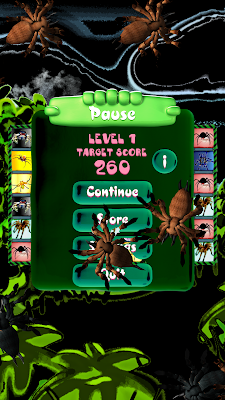 With words like "Tasty" coming up every so often when you do a move that breaks the ice or when you get the target amount you need to pass the level, it's a game that has a few similarities but I like that it's been taken in a creepy direction. Since downloading this last week I find myself playing it a few times throughout the day to see if I can get past dreaded level 21, I just can't seem to break the ice and it's driving me nuts. 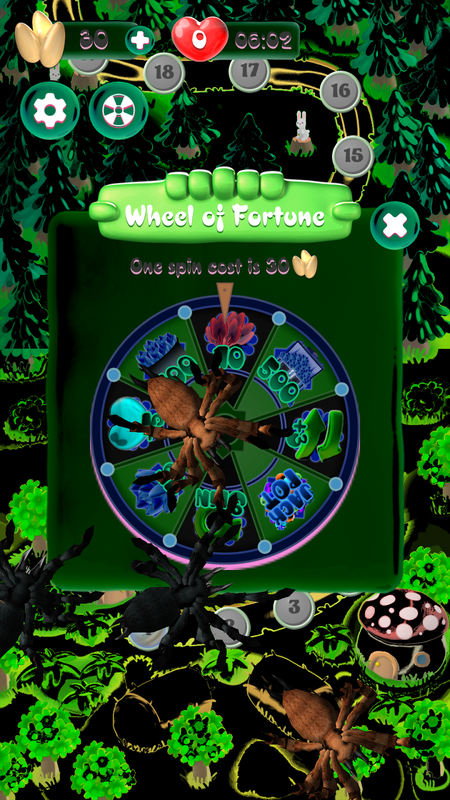 Within the app you have to either wait for your lives to regenerate or buy some or... get them in your free spin of the day on the wheel of fortune. 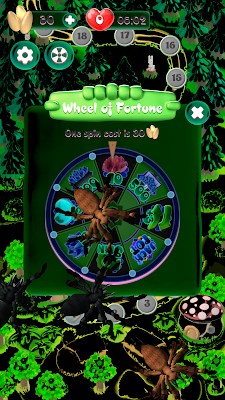 I have just been getting them on the daily wheel free spin or waiting on them regenerating. Within the game you can do different combos which give you higher score etc... I am still not 100% sure on what everything does but I know if you get 4 in a square that it makes a lady bug or you can make a bomb with 5 or 4 in a row, there are so many things you can do. Ok so I have been calling the squares you break Ice but I think it may be called jelly? Anyway, you have to break it to progress onto the next level or complete what ever task it is you have that level. 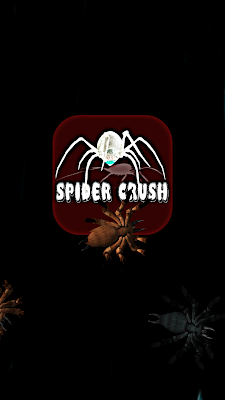 I have found myself get a little addicted but it's a game I can put down, I mean, I am so scared of spiders normally so looking at them all the time really does give me the chills. I am having fun with this game, there are a few things I would change which I will get into in a moment but overall I am enjoying playing it, more than I thought I would when I initially started. It's really grown on me and I can't wait to just keep levelling up. 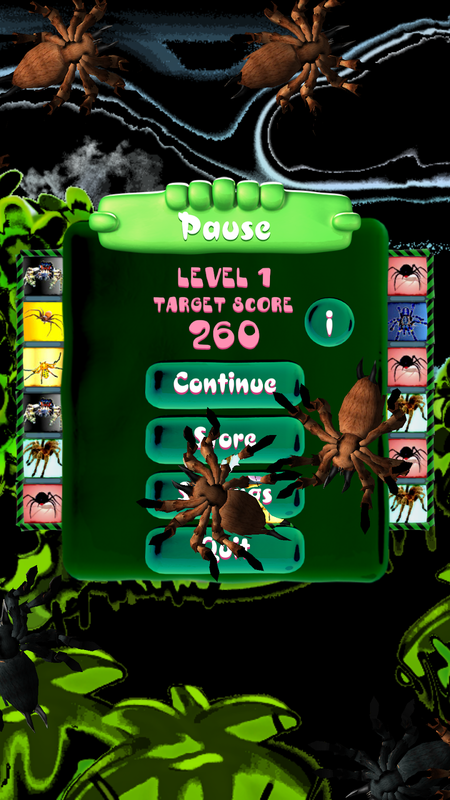 "Take on this full of creepy crawly spider game! Spider Crush Forage is a completely free to play game but some optional in-game items will require purchase. - Unlock different game types and environments"
So now that I have told you what I like about the game let me balance this out with some cons or well, improvements that could be made in my opinion. I really like that there are spider crawling around the screen, it gives you a spooky vibe but what I don't like is that they are constantly crawling over the game board which makes it really hard to see what moves you're going to make so if the spiders were to be crawling around the top and bottom half of the screen leaving out the game board that would be a better idea. Also, when you pause the screen the spiders are stuck in their place which mean you cant see what the options are a lot of the time which was a little annoying at the start. I must say though, I am used to it now that I have been playing it so much but at the start it was a little frustrating, so maybe just changing that a little would help. I also wish that there was a game tutorial at the start as it just went straight into the game and it took me a while to figure out what I was doing but once I got the hang of it I was ok.
All in all I do like it, I like playing it now and then because I keep trying to beat my score haha. 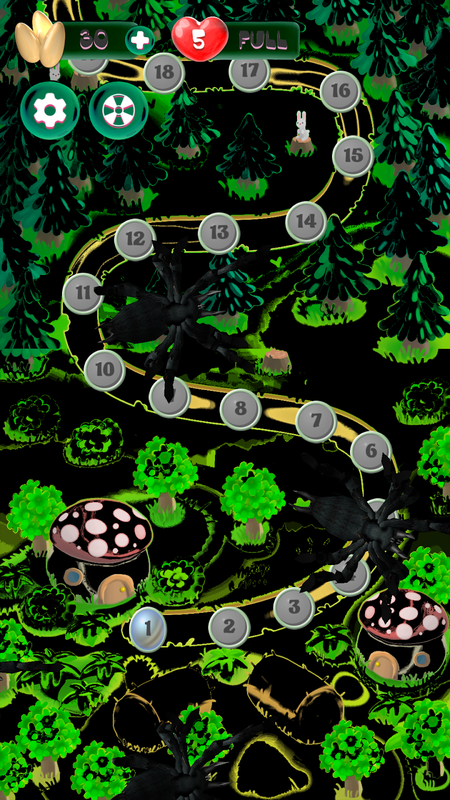 If creepy tarantulas are your thing and you don't mind staring at them then this is the game for you. 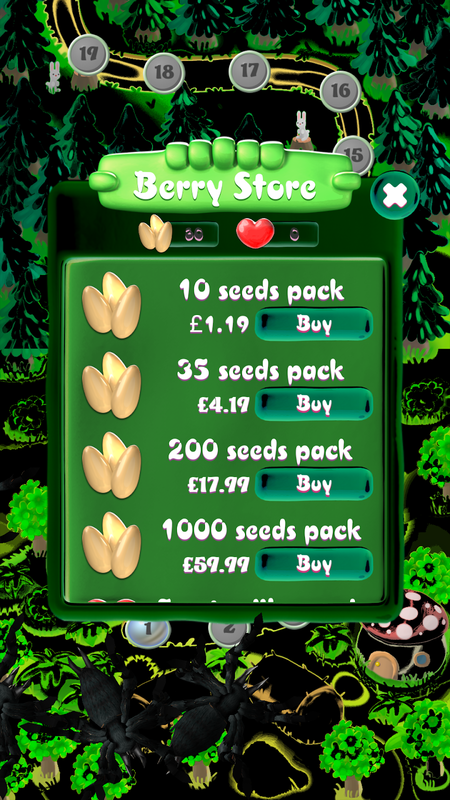 Right now it is only available on androids/Google play but hopefully it will be released to apple. 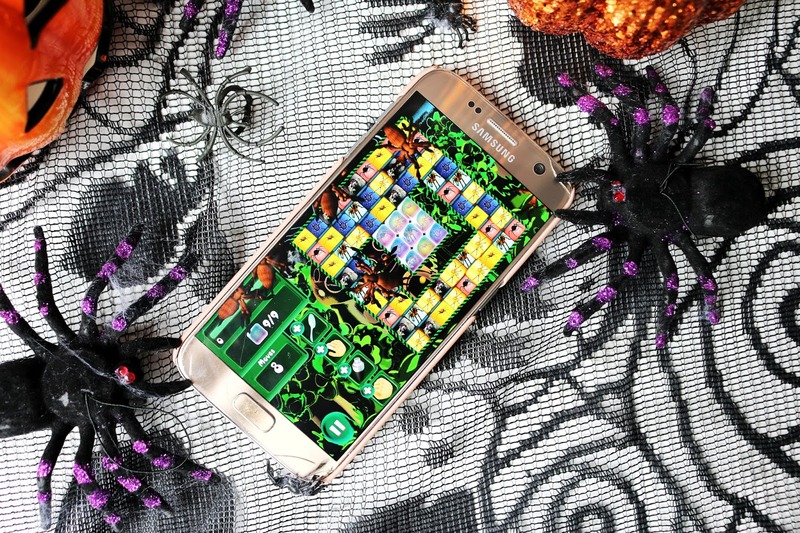 Creepy crawlers just in time for Halloween. Awesome idea. Love how you put it together. I don't when I last played any game, on phone, or otherwise. I love your spooky Halloween photography props, Jordanne! 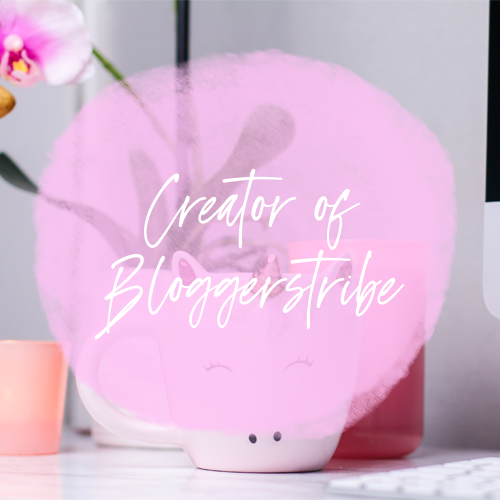 I really want to have a play of this now as it sounds so engaging and the perfect thing to take your mind off a boring commute! Good luck on breaking level 21!! I love when they bring out festive style games! I definitely think I have to try this one. I love the sound of it, it also sounds very addicting! I'm not really a gaming person, I wish I was but I've never been able to get the hang of them. This game looks pretty awesome though!